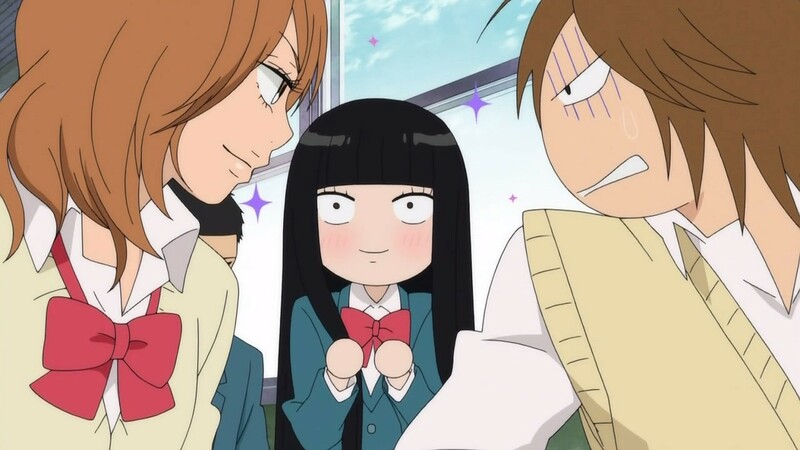 We all love our dose of slice-of-life anime but when it comes to awkward teen romances and finding your stance in the world, which anime would win: Kimi ni Todoke or Sukkite Ii Na Yo (Say I Love You)? Sukkite Ii Na Yo (Say I Love You) is about the workings of the heart and learning to trust others after experiencing betrayal and adversity. For a 12-episodes series, Say I Love You is a delicately well-paced anime that handles itself well. 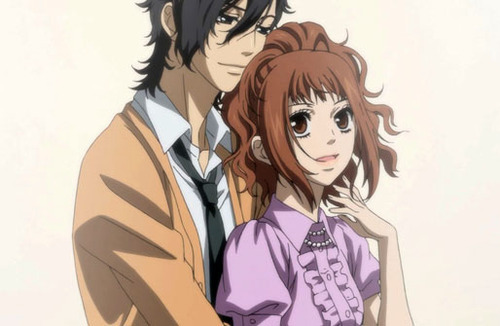 Whilst much of the spotlight centres around Yamato and Mei’s relationship, the way the story unfolds itself unfavourably does no justice for its characters.The audience often find themselves going along with the story, attempting to make sense of the strangely omitted gaps of the characters’ past and identities. Yet, we are somehow content with the story’s thorough simplicity despite these moments of flawed character development. 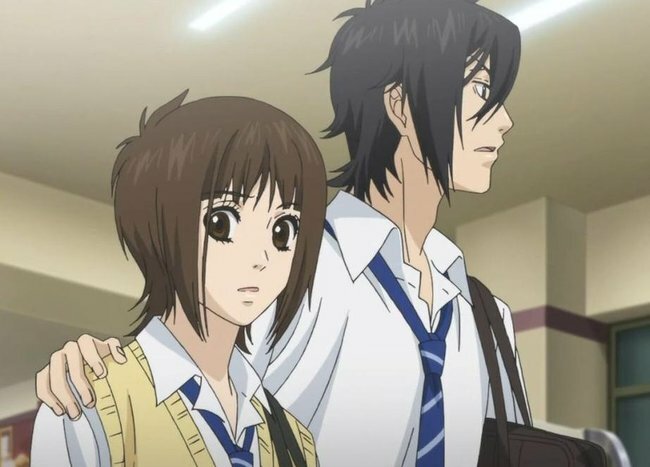 Yamato and Mei’s relationship illustrates a typical high school romance that isn’t unheard of in real life. 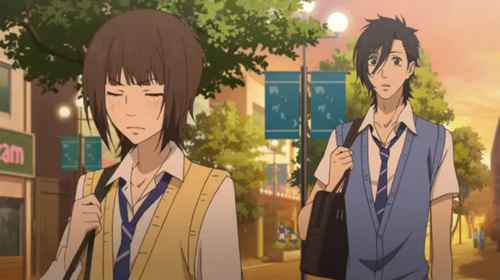 Yamato – the popular, handsome guy – ends up dating and falling in love with Mei, the not-so-interesting girl that belongs in the shadows of the hallways and to no particular clique at school. As the story develops, Yamato progressively becomes a very likable character with admirable qualities that we don’t really see in popular guys but even so, all eyes are on Mei. Unlike your usual leading ladies in romance anime, Mei is probably your most likable tsundere of the bunch as she is extremely bland, anti-social, fiesty and strongly opinionated. But beyond this poker exterior act, Mei is a kind, sensitive and caring individual who desires nothing but to be herself. Seeing Mei’s transition from isolation to overcoming her fear of betrayal is interesting to watch as the audience is continuously amused by her state of mind and behaviour towards Yamato and the others. With polar opposite personalities, Mei and Yamato often struggle to communicate their inner thoughts and feelings with one another. Say I Love You is refreshingly different as this couple is almost realistic as your everyday relationship. 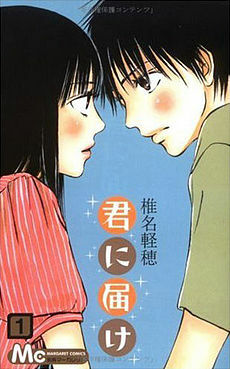 There is no presence of exaggerated soap-opera drama and although there are occasional inserts of intervening obstacles such as rivals and trust issues, they are disappointingly mellow, ultimately not placing a huge threat on Mei and Yamato’s relationship (with the exception of Megu-tan the popular idol). As Say I Love You moves towards the conclusion of the story with a lovely momentum, the climax was a major letdown as the screenwriter decided to switch gears and focused on Megu-tan’s breakdown instead. Where on earth did this come from? Does anyone really care for the selfish Megu-tan? But of course, the anime has its reasons to boldly invest in this dramatic climax as it attempts to remind the audience of who Mei used to be before. Unfortunately, it concludes with no proper reconciliation and/or a formed bond between Mei and Megu chan. But if that was the case, would that have been a predictable conclusion? Perhaps. Nevertheless, still a disappointment. 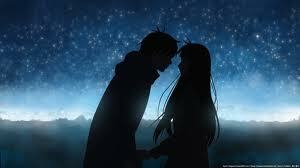 Kimi ni Todoke is another anime that shines amongst its romance/slice-of-life rivals. Again, this anime revolves around the romance between two awkward teenagers, Sawako and Kazehaya, that shys to go beyond the friendship status. Unlike Say I love you‘s Mei, Sawako has more personality and is much more likable than Mei. Sawako is a sweet, gentle teenager who always does her best to fit in and is often mistaken for a monster out of Grudge the film. But with the help of Kazehaya and his friends, Sawako slowly gains the trust and interest of her fellow schoolmates. And as a result, Sawako eventually comes out of her shell and to see Sawako being accepted and appreciated by her classmates, we are unanimously satisfied with the outcome, restoring our faith in society. But Kimi ni Todoke is more than just romance. With its timeline span of 24 episodes, Kimi ni Todoke delivers an exceptionally well-developed story with maturity and patience, showing the characters’ bonds and ongoing personal development. The series is a nostalgic poignant reminder of everything that makes up high school, perfectly capturing the essence and hardship of being a teenager such as trying to fit in, growing up and dealing with complex issues like bullying. 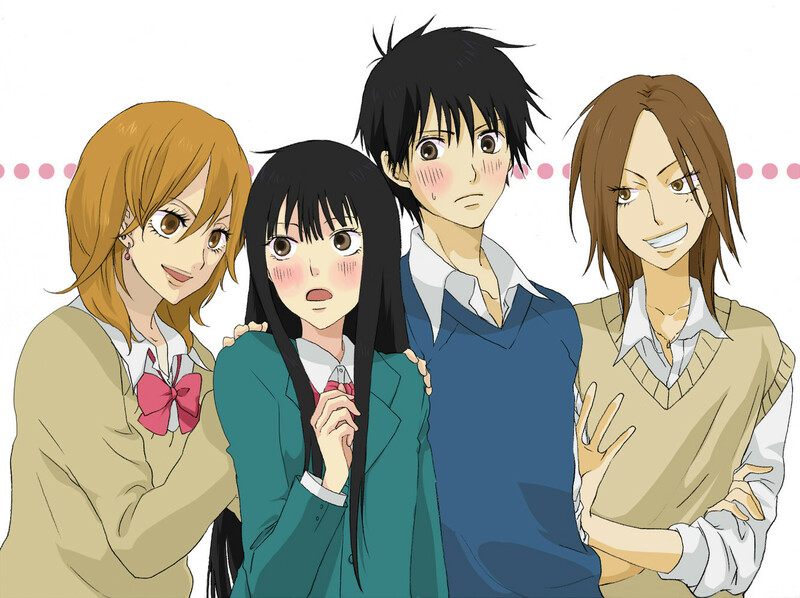 These are everyday issues that adolescents face at school and the way Kimi ni Todoke approach these matters through the eyes of Sawako and her friends is simply refined and accurate. So who wins this battle of high school romances? Verdict: CtrlGeekGirl gives Kimi ni No Todoke two thumbs up with a rating of 9 and Sukkite Ii Na Yo (Say I love you) with a decent rating of 7.5. At the end of the day, both series are to be commended equally for their charming storytelling and beautiful art direction. Their abilities to depict realistic romance storytelling in a notably simple and mature manner is what contrasts them from other series as they effortlessly strike a chord with the audience’s emotions. And also, by shining the focus on their leading characters and avoiding cliche romance elements (such as exaggerated comedic relief and idiotic-tsundere characters) makes their storytelling highly r espectful. 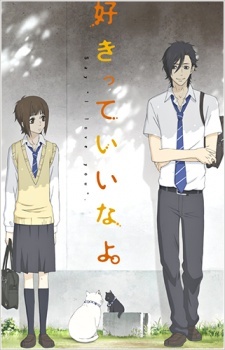 If Say I Love You was given the greenlight for a standard 24 episodes series like Kimi ni No Todoke, it would have gone further to impress the audience with its character and plot development. Otherwise, both Kimi ni Todoke and Sukkite Ii Na Yo (Say I love You) are two slice-of-life/romance anime that is highly recommended for viewers that wants a little something special and authentic. At least with KNT, the protagonist and main guy eventually BECOME EQUALS, more or less. With SILY, it’s like he’s GOTTA COAX HER TO DO THIS OR THAT, and she only SLOWLY “gets out of her shell” and whatnot. She has to be “saved” by the POPULAR GUY AT SCHOOL who’s FAR MORE ASSERTIVE, and she’s just some “loser” as far as most-everyone there is concerned. But at least Sawako and Kazehaya FALL IN LOVE with a prolonged, mature process. Sure, the time between when they start falling in love and when they actually confess may be “too long”, but at least their relationship EVOLVED. Of course, maybe the relationship in SILY also ‘evolves’, but it started out way too fast if you ask me, so that already kinda fucks things up.